It is Lucy’s 9th birthday. That means she’s been with me for 5 years. My how time has flown. If you don’t remember it, you can read a little bit about Lucy’s story. 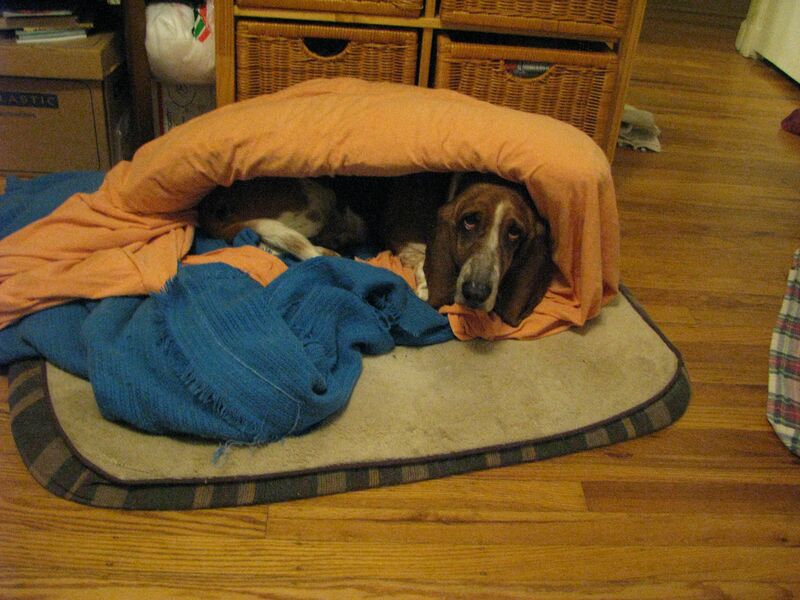 Lucy is a snuggler and adjusts her blankets and bedding for maximum comfort. She loves to sleep pressed up against me. I did something to my back and spent much of yesterday with my heating pad, Lucy and Fiona snuggled beside me. I am much better today, but I am still using the heating pad. This is an excuse to read and knit. I have a couple of dog related books on my shelf right now. 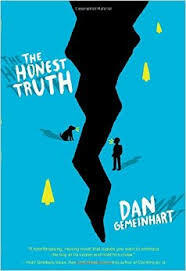 In Dan Gemeinhart’s debut novel, a boy named Mark, tired of being sick with cancer, conceives a plan to climb Mount Rainier, and runs away from home with his dog, Beau–but with over two hundred miles between him and his goal, and only anger at his situation to drive him on nothing will be easy, and only his best friend, Jessie, suspects where he is heading. 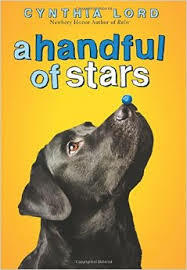 A Handful of Stars is Cynthia Lord’s latest. When her blind dog slips his collar, twelve-year old Lily meets Salma Santiago, a young Hispanic girl whose migrant family are in Maine for the blueberry-picking season, and, based partly on their mutual love of dogs, the two forge a friendship while painting bee boxes for Lily’s grandfather–but as the Blueberry Queen pageant approaches Lily and Selma are confronted with some of the hard truths of prejudice and migrant life.